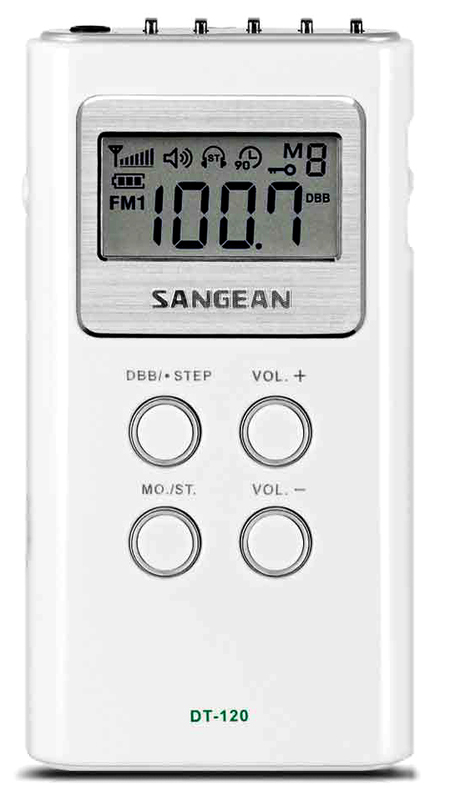 The Sangean DT-120 provides concert hall quality in a compact AM/FM stereo receiver that slips conveniently into your shirt pocket. It plays unbelievable sound into the provided stereo ear buds (no speaker). AM coverage includes the new extended band (520-1710 kHz). The digital display shows frequency and memory number and other functions. This radio has 10 memories for FM and 5 for AM. The DBB Deep Bass Boost provides an amazing rich, deep sound for such a compact radio. 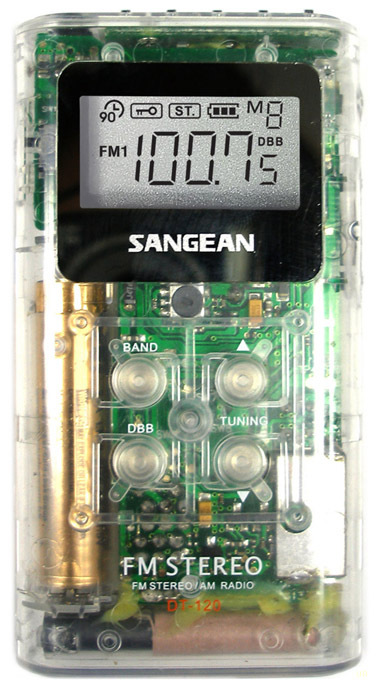 Other features include: Stereo-Mono Switch, 90 Minute Auto-Shut Off, Battery Low Indicator, Scanning and 9/10 kHz AM tuning steps. Only 2 x 3.7 x 0.7 inches and 2 oz. Clear case. Requires one AAA cell (not supplied). Includes deluxe stereo ear buds (no speaker). Ninety day limited warranty. 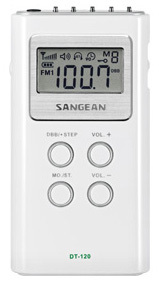 This radio is also available in a solid white case version. Copyright 2006-2016, Universal Radio, Inc.